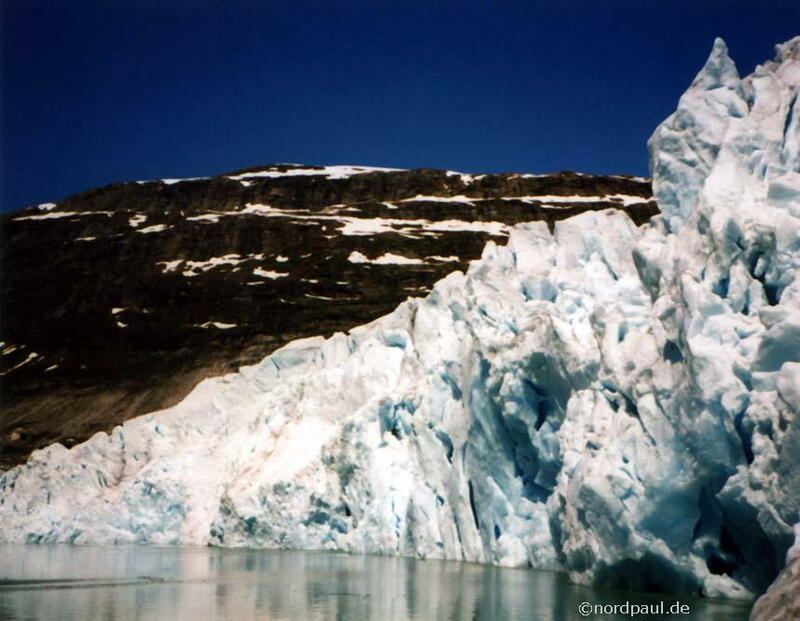 This is a report of my journey to the large glacier Svartisen (Norway) and into the Swedish capital Stockholm. 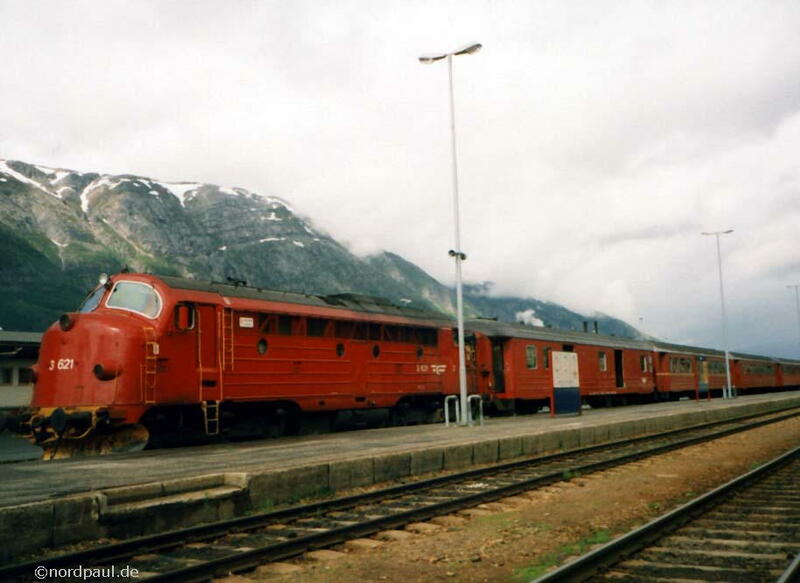 In the summer 1996 we went by train and with tents across Scandinavia for two weeks. We took different railways into the north (Mo i Rana) and we stopped for two nights in Oslo. During the return trip we stayed in Trondheim for one night and in Stockholm for three nights. Finally we passed the Large Belt in Denmark. But I will begin in the north. 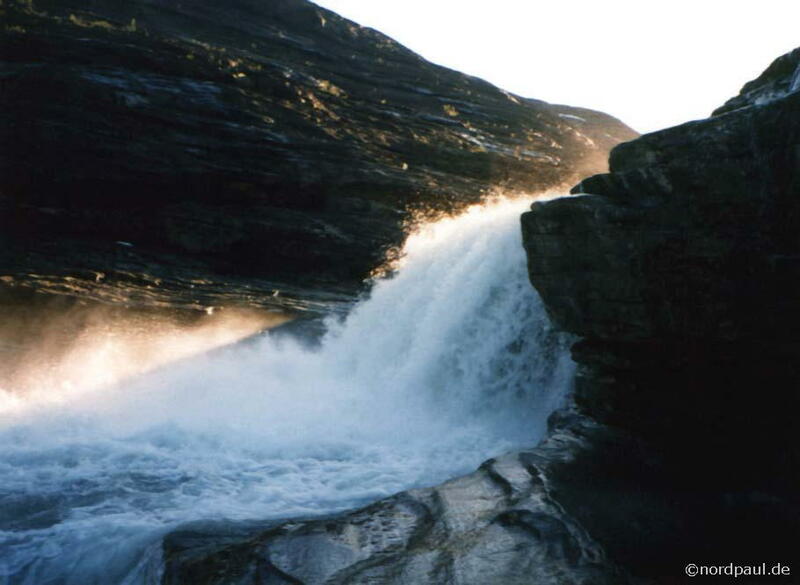 The city Mo i Rana is just south of the Northern Polar Circle. 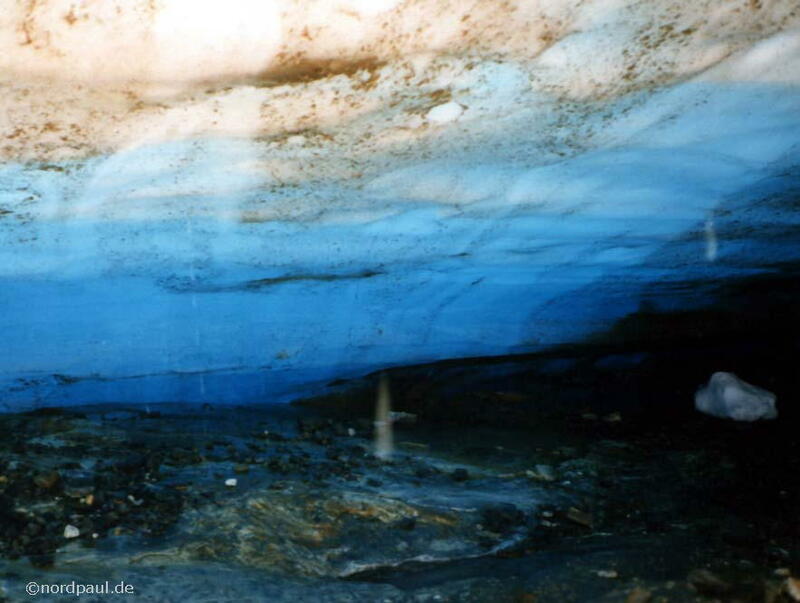 A taxi took us from the tourist information to the glacier (four persons 500 NOK, 15 EUR each person, 1996). 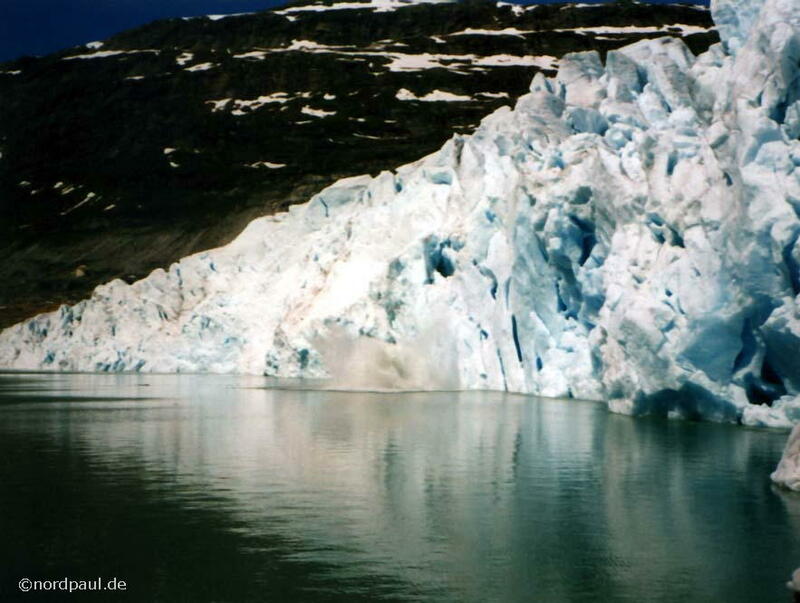 Svartisen - the black ice - is the second largest glacier in Norway. It is northwest of Mo i Rana and not far away from the Atlantic. The highest point is called Istinden and 1577 meters high. 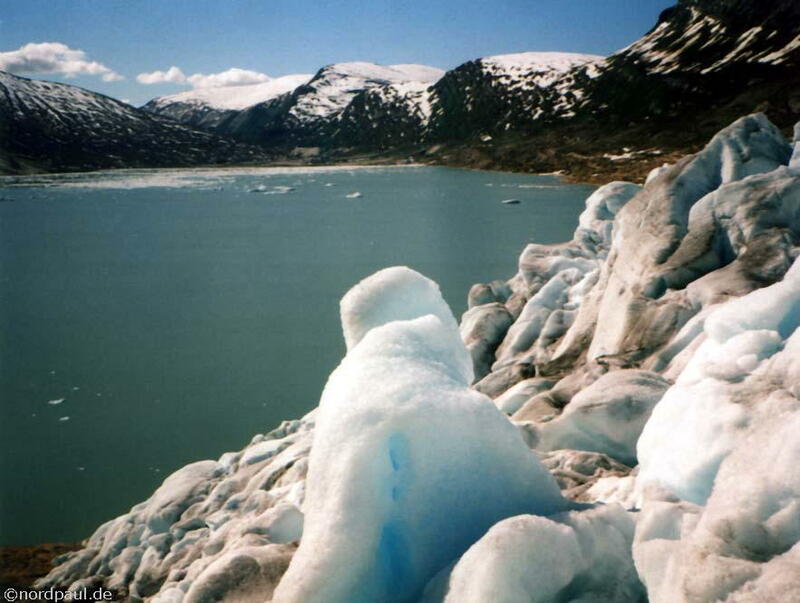 The glacier (400 km²) is part of the Saltfjell Svartisen National Park. 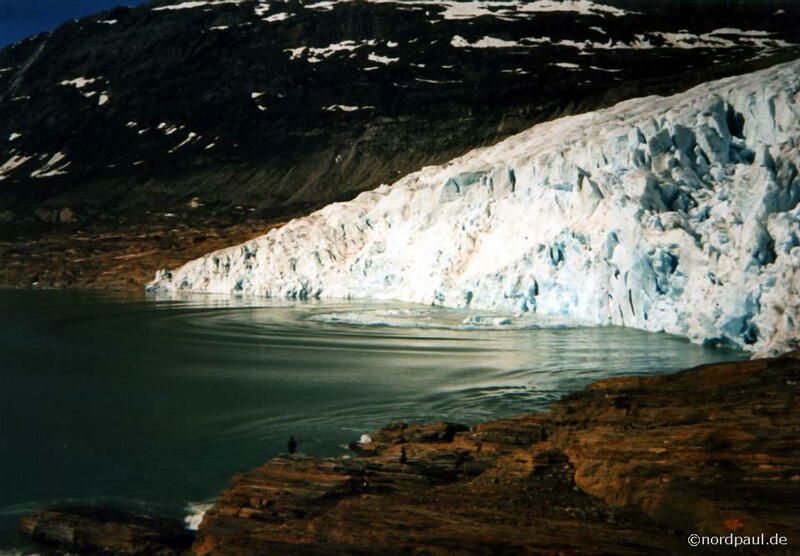 A small ferry (50 NOK, about 7 EUR, 1996) goes on the lower glacier lake from one to the other side of the the lake. 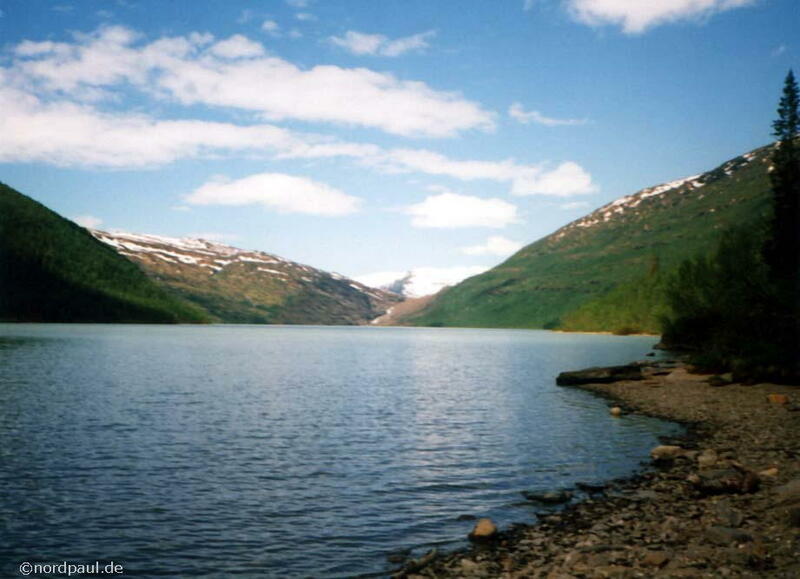 There you will find a path over glacier formed rocks to the upper glacier lake. The Svartis crashes directly into this lake. One full day at the glacier would be optimal. Maybe you see some big ice crashes into the lake. 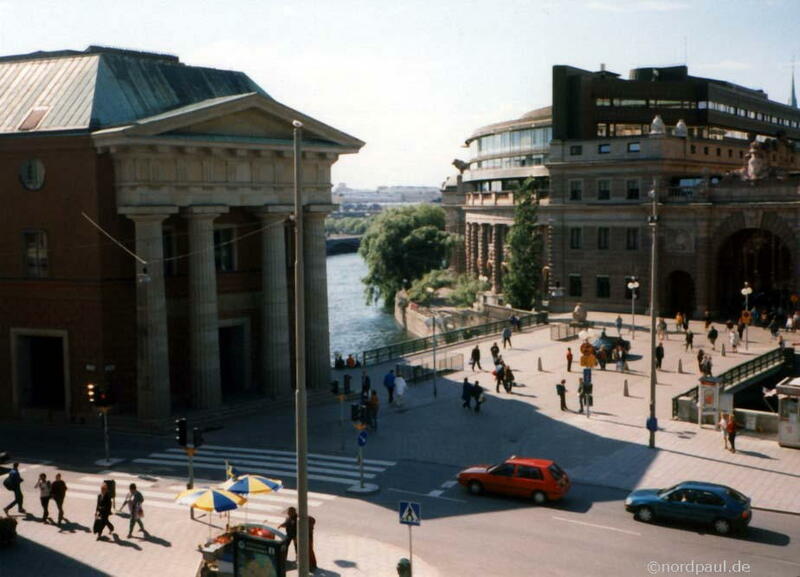 We spend some days in the capital of Sweden (Stockholm) when we went home. 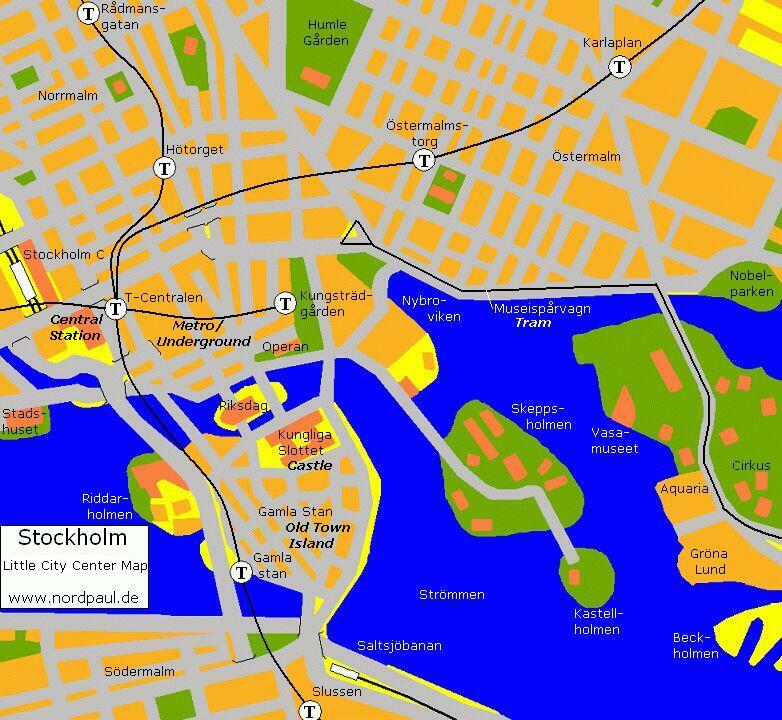 The old town island Gamla Stan is the centre of Stockholm. 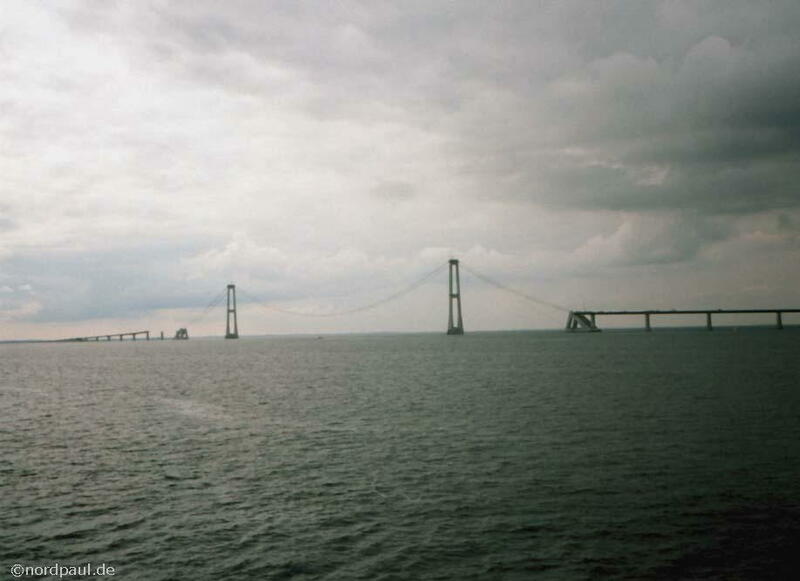 It is situated on one of the islands which marks the end of lake Mälar in the east. 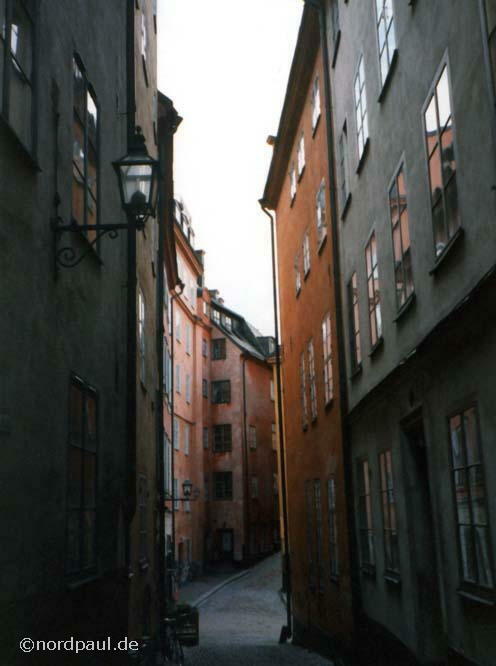 Narrow lanes, some hills and many multicolored houses (and tourists) are typical for Gamla Stan. On this island and not far away from there are also many churches, museums and the Royal Castle. 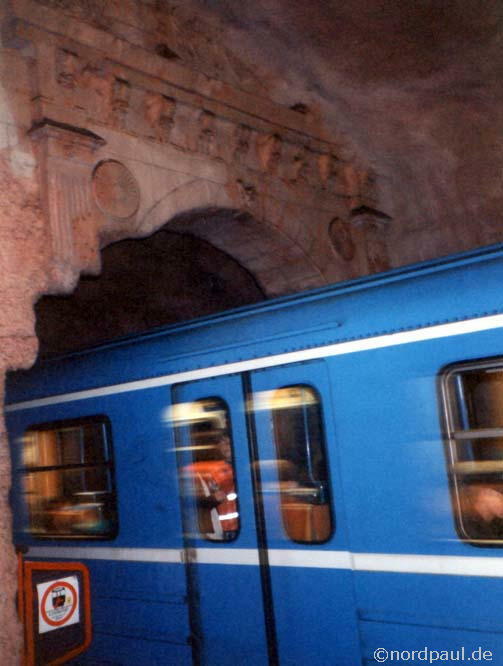 If you are in Stockholm you have to visit the underground stations of the subway (Tunnelbana): many of them are designed in different interesting styles. 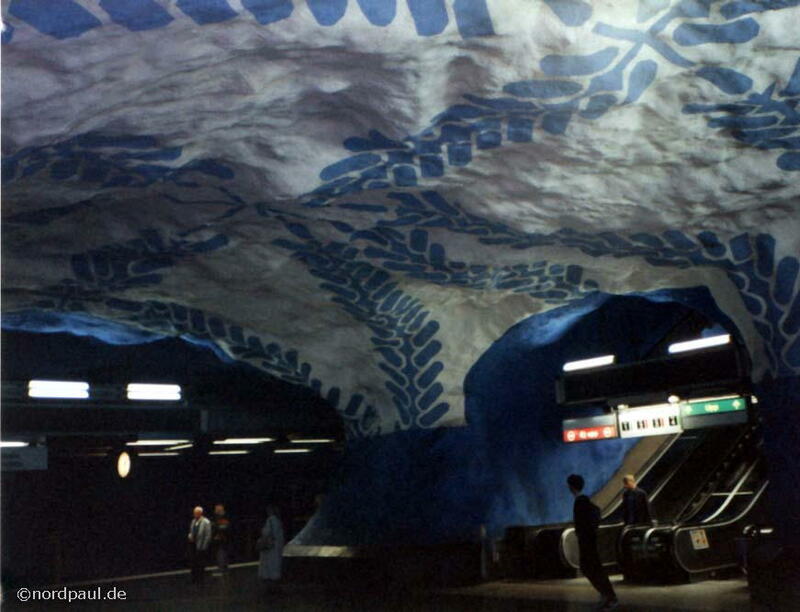 The station Kungsträdgården in the middle of Stockholm is just one example for "art in the underground". Especially on the blue subway line you will see more of these stations.